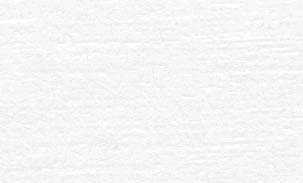 Attended his schools in his native town, Trencsén. 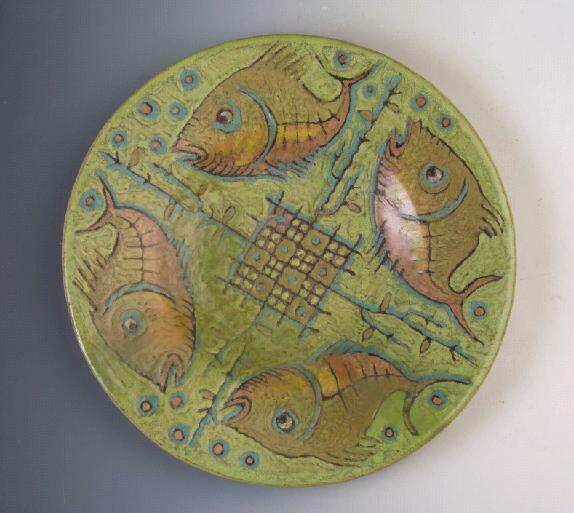 In 1918, moved with his family to Mezőtúr and upon the influence of Balázs Badár working there, he chose ceramics as his vocation. 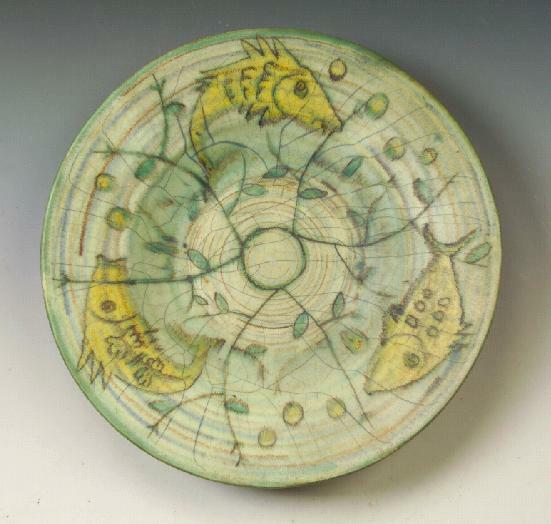 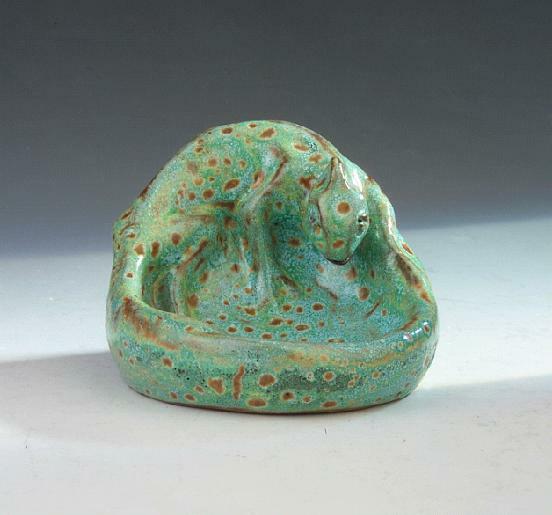 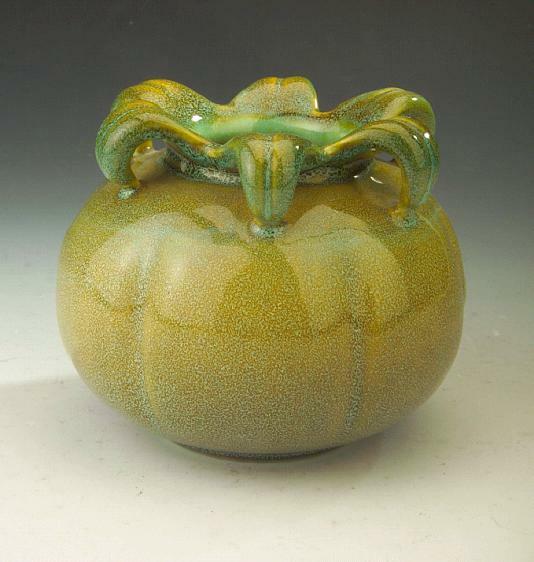 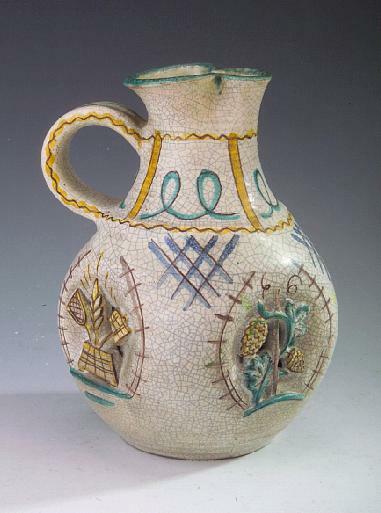 In 1919-21 studied with Paul Mann and Max Laeugner in the Majolica Manufacture in Lentkirchen. 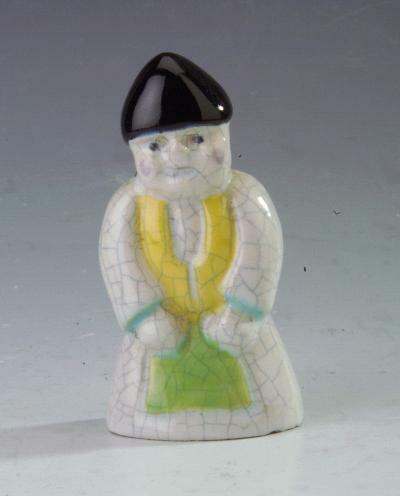 Germany, where he learnt the use of cracked glazes. 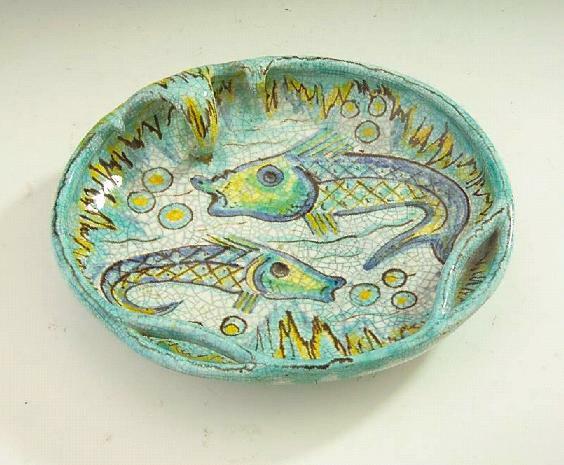 Moved to Nógrádverőce in 1923 an founded the Keramos Ltd., then in 1927 built his workshop. 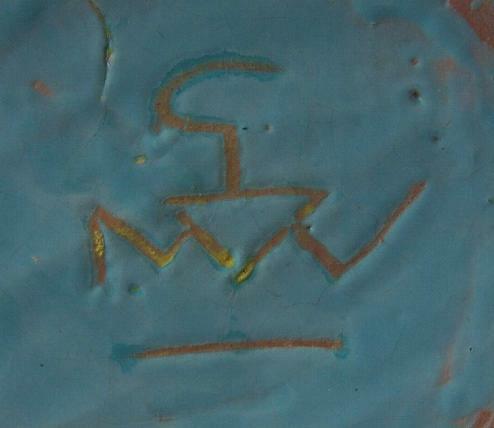 In 1928-29 pursued studied under the tutorship of Géza Jakó. 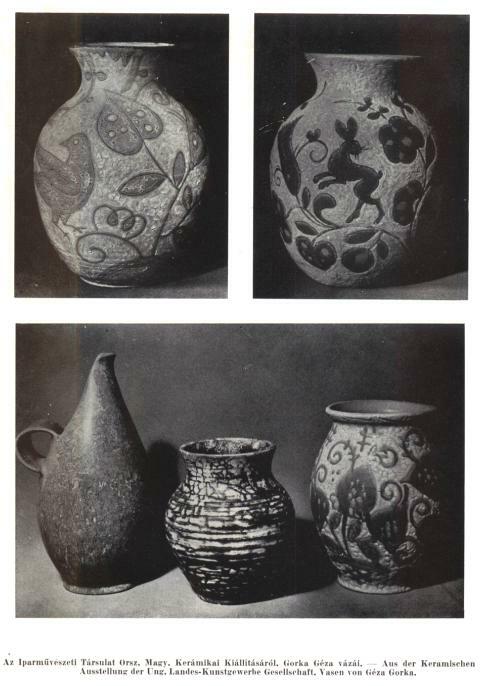 In 1940-44 headed the ceramic workshop in Losonc, and returned to Nógrádverőce in 1945. 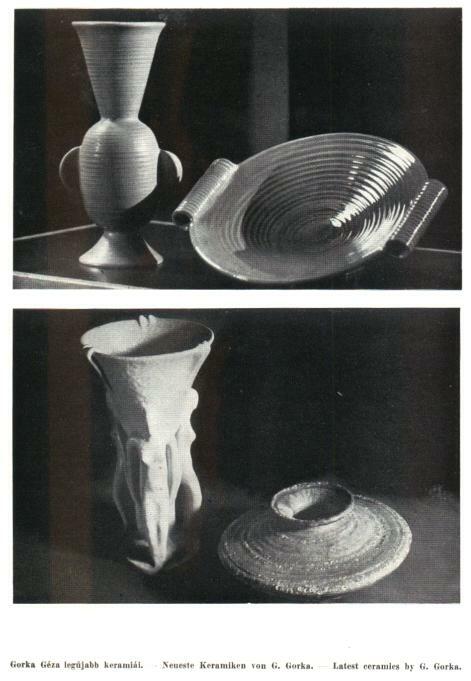 In 1946-48 carried outexperiments fot the mass production of high-fired vessels in the Zsolnay workshop in Öv street, Budapest. 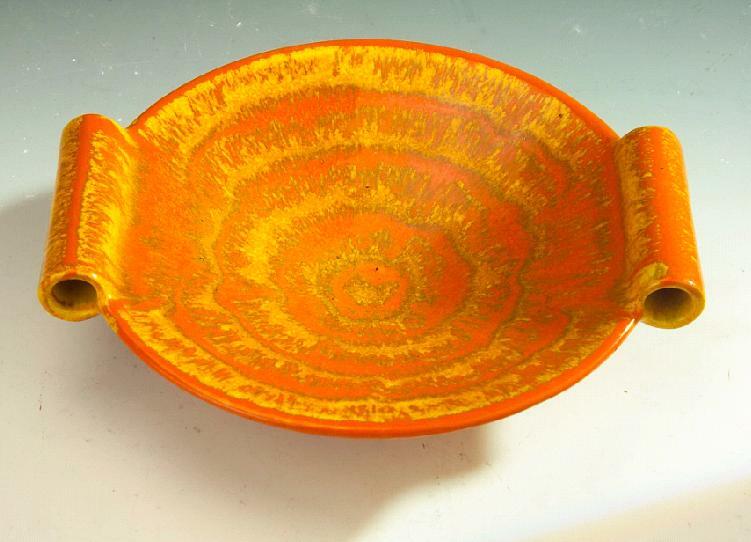 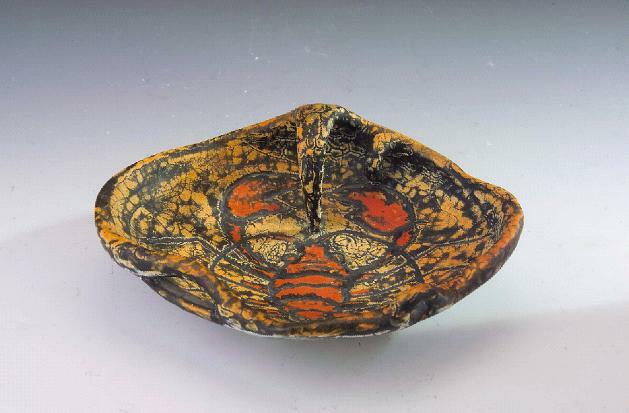 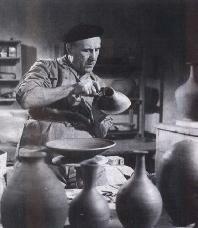 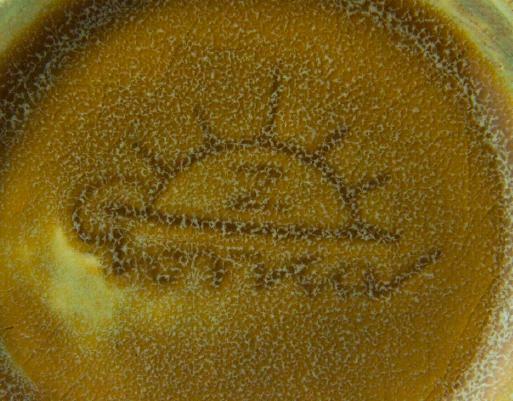 In 1970, he undertook the launching of the ceramic course in the Zebegény Free School. 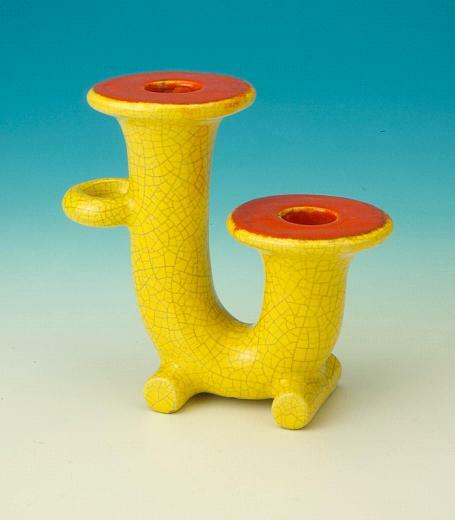 One of the founders of modern Hungarian ceramic art, he was influenced by folk pottery, German expressionism and art deco simplified in a modernist spirit. 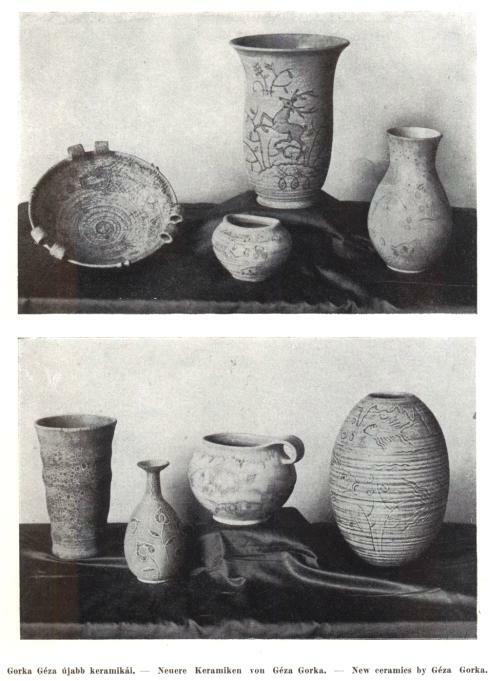 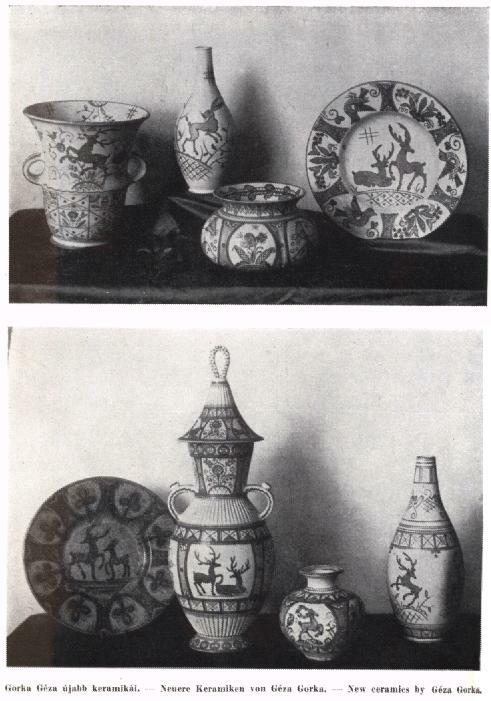 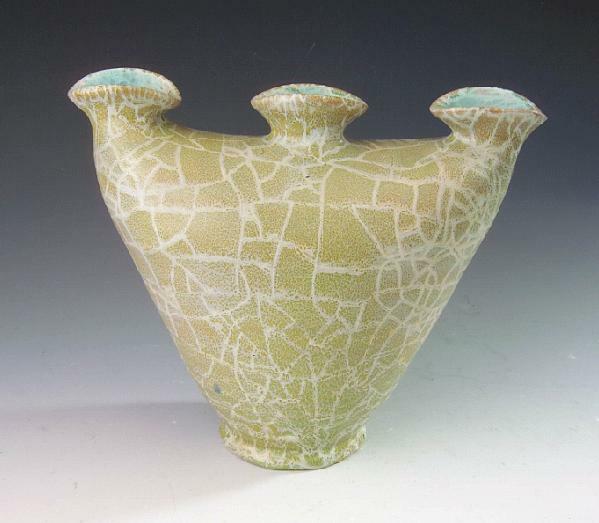 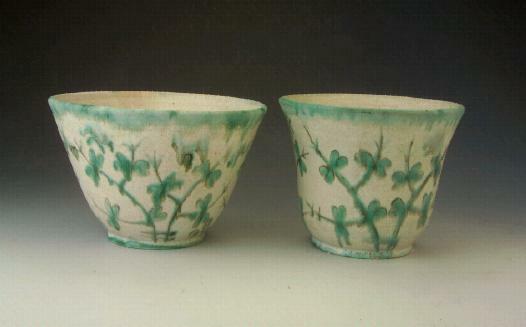 Ornamental and functional ceramics features with equal weight in his work, and his entire career was accompanied by the investigation of technical and technological innovations. 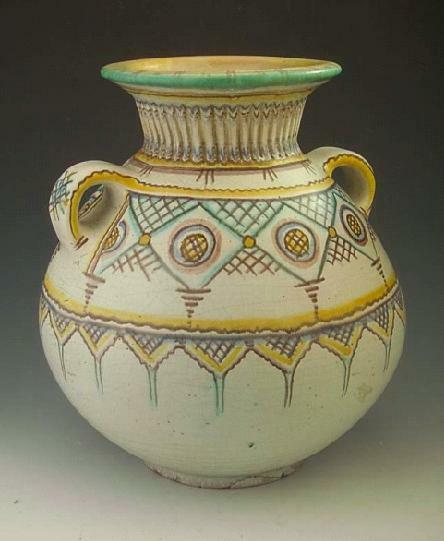 He was master of colours and glaze. 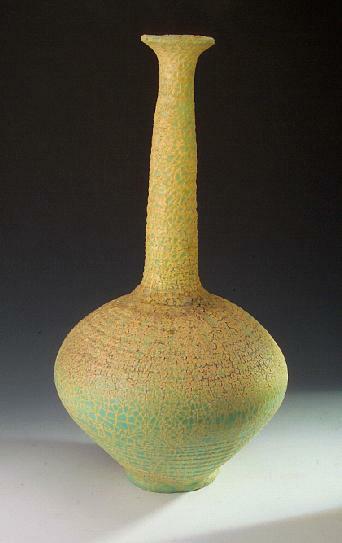 From the '60s, his art lived to see a second blooming on the basis of his style developed before the war. 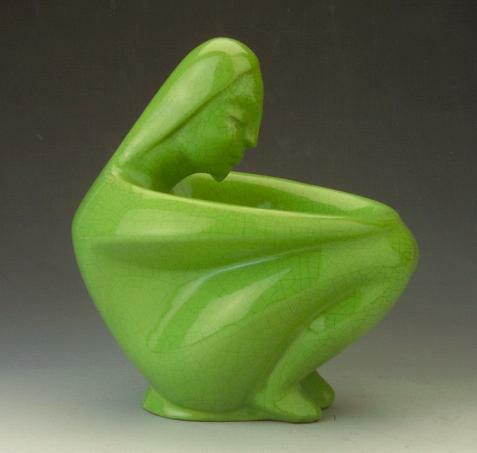 He was member of the directorial board of the Association of Hungarian Designers from 1930. 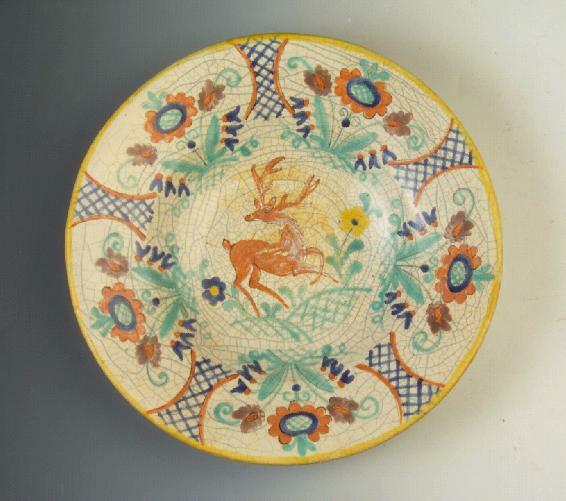 The Gorka Ceramics Museum was opened in his former home and workshop in 1972.